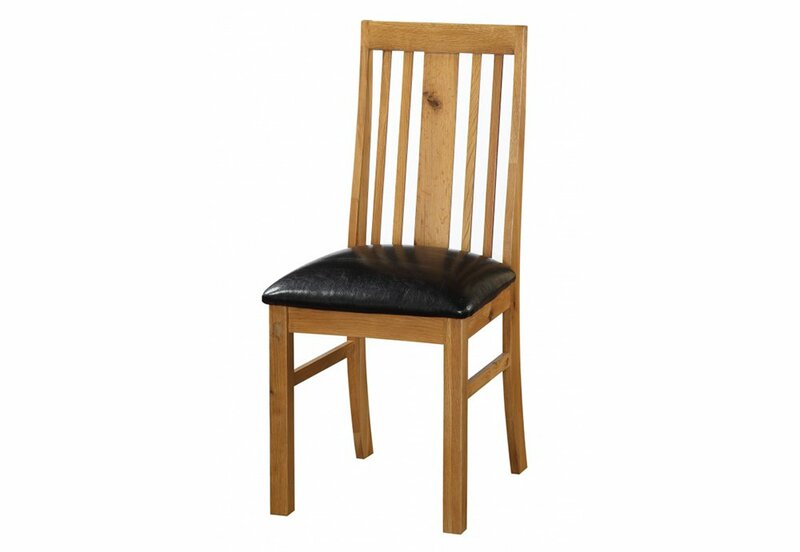 These traditional farmhouse Dining Chairs are crafted from durable solid Oak wood for a natural, country look both for a traditional decor. Featuring comfy padded seats with faux leather effect upholstery. For cleaning, it is a breeze to wipe clean after family meals. Solid wood legs and with solid frame throughout, these chairs will last for years. This product is supplied fully assembled.